Eagles offensive tackle Lane Johnson made headlines after the Super Bowl for saying that the Patriots are "a fear-based organization." He specifically said that "do I think people enjoy and can say, 'I had a lot of fun playing there?' No, I don't." 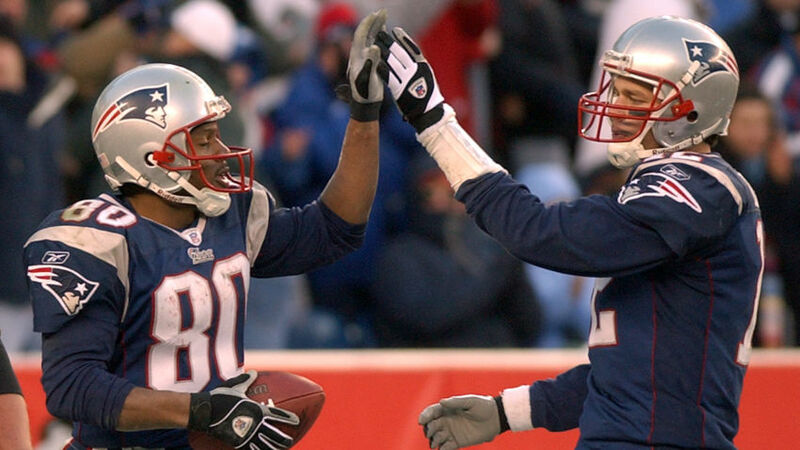 Now, former Pats wideout Troy Brown has directly refuted Johnson's claims. Speaking on NBC Sports Boston, Brown said that "I know I had fun playing [in New England]. He can say what he wants to say. We'll see in free agency...I paid the guy no attention when he started talking about [the Patriot way]." Brown didn't touch one of Johnson's more edgy comments--a request to New England players to, "Hey, stop being a [expletive] head." Regardless, though, it's clear that the Patriot way prioritizes winning above appearances. That may not be a fit for Johnson, but it's certainly a great situation for the hundreds of players who have won Lombardi trophies because of it. Maybe the Eagles might have better luck reaching similar success if they tried it out.